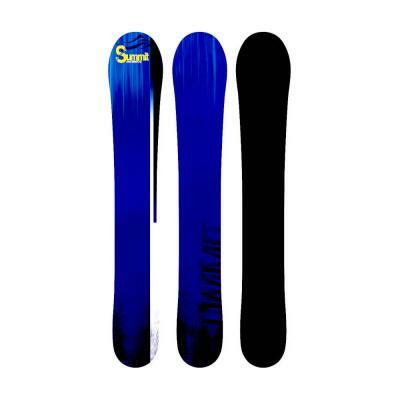 Summit Easy Rider 79 cm Skiboards blue Super easy skiboards to ride. So easy to ride, so effortless, you will truly enjoy the Summit Easy Rider 79 cm Skiboards blue. As the name implies, these skiboards make it simple to experience a super fun and easy time riding the ski slopes right from the first day. Learn to ski in one day, no kidding! With a super short learning curve, you can just focus on having fun. With their high quality construction you can still cruise like on longer skiboards, riding any terrain you care to. If anything could be called an “easy ski,” this is it! Featuring the same construction as Summit’s more advanced skiboards, with tip-to-tail Northern birch wood core, Rockwell carbon steel full wrap edges, sintered bases and triaxial layered fiberglass, along with asymmetrical twin tips, these are very durable, with a really fast turn radius. The parabolic sidecut makes it easy to enjoy those effortless carves and parallel turns. Adults as well as older kids can use these to not only learn, but also progress to more advanced terrain quickly. These Summit Easy Rider 79 cm Skiboards blue deliver a super easy transition for those who want that skate-like feel on the snow as well. Recommended for: beginner/intermediate skiboarders and skaters looking for a true transition of skills to the slopes. 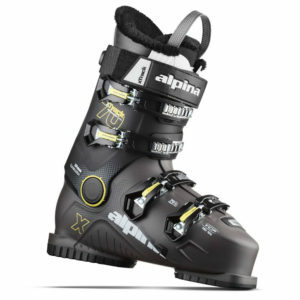 Atomic L 7 Step-in Release bindings. 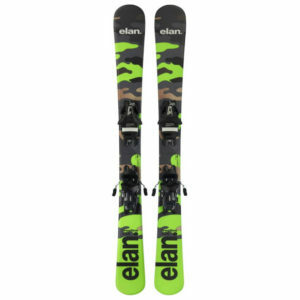 The L7 bindings are for beginner/intermediate skiers. The XTE 7 is an adjustable binding that provides you with not only the ability to fit a range of ski boot sizes, but also so that you can adjust your bindings on the fly (moving forward or back to adjust to conditions and personal preference). The Atomic XTE 7 combines high performance with minimal weight and maximum stability. Adjusting the front clamp and heel can be done by hand. These bindings feature: DIN range of 3-7.5. Twin pivot. Toe height adjustment. Fits ski boot sizes 229-336 mm sole length (approximately US Size 2-11). Height: 30mm. Includes FREE mounting. Technine Custom Pro DS Snowboard Bindings: These can also be used with the Technine Custom Pro Snowboard bindings (size 7-14 US). Fits the 4 hole insert pattern and includes the Summit Riser Kit and all hardware. Skiboard Non-Release Bindings: These can also be used with any standard skiboard non-release bindings in 40 X 40 mm insert pattern. We don’t sell these. Use your own Snowboard Bindings and Snowboard Boots. 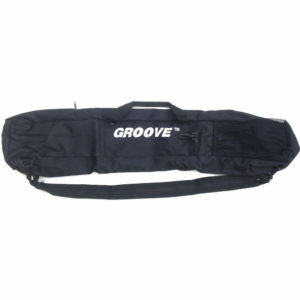 Just get these skiboards without bindings and then add the Snowboard Binding Adaptor Kit to the cart. Cap construction: An extra aluminum layer under the top sheet and a solid birch core all contribute to great binding retention while allowing full flex. A layer of rubber dampening makes for additional smooth riding, absorbing those vibrations, but allowing maximum road feel. 4 Stainless Steel Inserts: (not showing in photo) these inserts allow the mounting of snowboard bindings or Bomber Elite bindings.